I wish to thank Rudi Woykowski and the Blacksburg Police Department for helping rescue this hawk. The police stopped traffic on 460 while Rudi gathered the hawk from the median. Rudi took the hawk to VMCVM. Then the vet school transferred the patient and transporter Tammy Palmatier brought it to the center. The hawk is in guarded condition but resting comfortably. 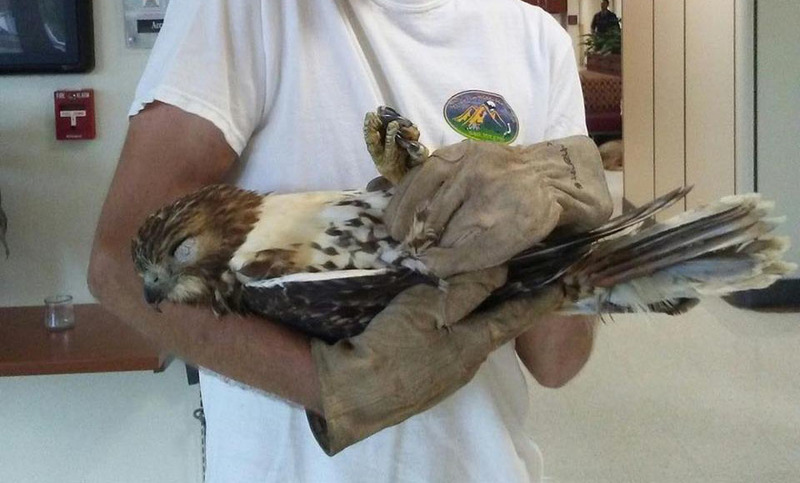 Swvawildlifecenter.org #swvawildlifecenter #redtailedhawk #wildlifeheroes #teamwork — with Rudi Woykowski.